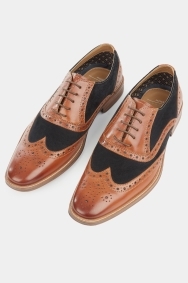 You’ll make more of a statement with your shoes when you choose this pair by Moss London. 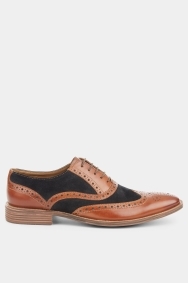 They’re eye-catching thanks to the contrast sections and brogue detailing. They’ll go with your sharp suits and the brown tone is versatile for styling. 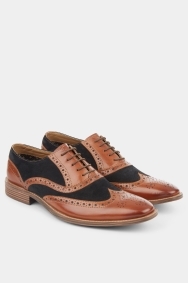 Brought for my Husband as a gift go with a tailored suit he has purchased from this Moss Bros store too. He was over the moon with this item saying it will go perfectly with his suit.